The war in Afghanistan is in its ninth year, and even officials supportive of the U.S. presence there acknowledge the challenges that remain. "People still need to understand there is some very hard fighting and very hard days ahead," Defense Secretary Robert M. Gates said during his trip to Afghanistan last week. But the conflict is not hopeless, nor it is eternal. If we want to develop realistic expectations about the war -- how it might unfold from here and when it could begin to wind down -- it would help to dispel some of the popular mythologies that have emerged about the Afghans, the enemy we're fighting and the U.S. commitment. 1. Afghans always hate and defeat their invaders. The Afghans drove the British Empire out of their country in the 19th century and did the same to the Soviet Union in the 20th century. They do fight fiercely; many American troops who have been deployed both in Iraq and Afghanistan in recent years have asserted that the Afghans are stronger natural fighters. Yet, the people of Afghanistan do not despise foreigners. 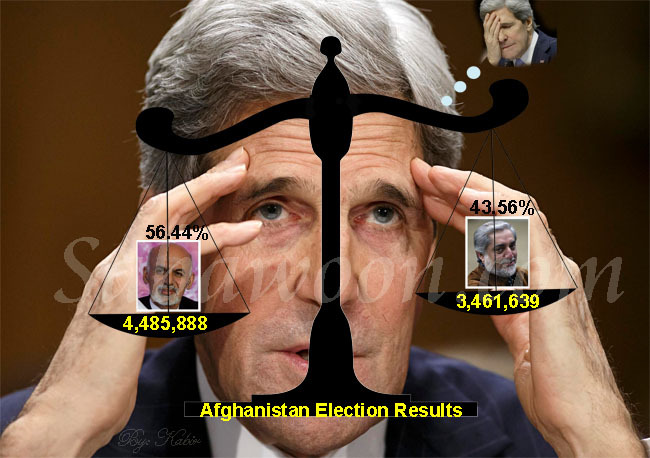 Despite downward trends in recent years, Afghans are far more accepting of an international presence in their country than are Iraqis, for example, who typically gave the U.S. presence approval ratings of 15 to 30 percent in the early years of the war in that country. Average U.S. favorability ratings in recent surveys in Afghanistan are around 50 percent, and according to polls from ABC, the BBC and the International Republican Institute, about two-thirds of Afghans recognize that they still need foreign help. And before we mythologize the Afghan insurgency, it is worth remembering some history. In the 1980s, the United States, Saudi Arabia and others gave enormous financial and military assistance to the Afghan resistance movement that eventually forced the Soviets out. That group grew to about 250,000 in strength in the mid-1980s. But today, the Taliban and other resistance groups receive substantial help only from some elements in Pakistan -- and diminishing help at that -- and collectively, they number about 25,000 fighters. Finally, though U.S.-backed Afghan forces overthrew the Taliban after the Sept. 11, 2001, attacks, today's international presence there does not amount to an invasion. Foreign forces are present at the invitation of the host government, which two-thirds of Afghans consider legitimate, if somewhat corrupt. 2. The situation in Afghanistan is much more difficult than the one in Iraq. The U.S. goals in both countries are similar -- establishing better security and governance and eventually passing total control to domestic authorities -- and there are certainly ways in which Afghanistan poses a tougher challenge than Iraq. There are more tribes to contend with, the drug problem is worse, literacy rates are lower, national institutions such as the security forces and the judiciary are weaker, and the economy is less advanced. But Afghanistan's history of violence and its relative underdevelopment also make its people realistic about the future; they are grateful for even incremental progress, as polls show. And consider the following signs of improvement: Seven million children are now in school (compared with fewer than 1 million under the Taliban), and some 8 million cellphones are in use among a population of about 30 million -- compared with virtually zero before 2001. Health care is also getting better. Also, the violence in Afghanistan today is far less severe than it was in Iraq. Before the troop surge in 2007, more Iraqi civilians were killed every month than have been killed from war-related violence in Afghanistan each year. In other words, Afghanistan is less than a tenth as violent as the Iraq of 2004-07. Communities were displaced and sectarian tensions were inflamed far more in Iraq than they have been in Afghanistan. 3. The U.S. military is for war-fighting, not nation-building. This was a core philosophy for the incoming Bush administration in 2001 -- until the tide of history made George W. Bush the president most preoccupied with nation-building since Harry Truman. The debate about whether the U.S. armed forces should be involved in nation-building was big in the 1990s, but the nation-builders have won the argument hands down. The terminology has shifted, to be sure, from "nation-building" to "stabilization and reconstruction" missions, but these include efforts to improve governance and the economy as well as security and stability. Among top civilian and military leaders, there is no real disagreement about whether the armed forces should engage in these types of activities -- at least not in situations such as Afghanistan, where the weakness of a state threatens American security. While Gen. David Petraeus led the writing of the new counterinsurgency field manual, with its emphasis on protecting local populations and helping build up indigenous institutions, it was then-Defense Secretary Donald Rumsfeld who, in a November 2005 directive, wrote that "stability operations are a core U.S. military mission that the Department of Defense shall be prepared to conduct and support." He added that such operations will receive a "priority comparable to combat operations." That remains U.S. policy. 4. We should negotiate with the Taliban. There is nothing wrong with negotiating with elements of the Afghan resistance, especially at the local level. If they are willing to renounce violence and accept the authority of the central government as well as the temporary presence of international forces, we can allow them to rejoin society, obtain jobs and perhaps, in some cases, hold government positions. Many insurgents who are motivated less by ideology than by money, opposition to the government or tribal rivalries may fit this bill. But a major compromise with the central Taliban leadership is not only unlikely -- it's a bad idea. The Taliban is not interested in negotiation and is not the sort of organization with which the Afghan government or the United Sates should ever compromise. Its extremist ideology is misogynous and intolerant, and its history in Afghanistan is barbaric. Most important, the Taliban is extremely unpopular among Afghans. President Hamid Karzai has repeatedly stated his willingness to negotiate with Taliban leaders willing to renounce insurgency, while British Foreign Secretary David Miliband has called for some form of political settlement with the Taliban and other insurgent groups, provided that our core interests are protected. But in general, NATO and Afghan forces will have to establish more battlefield momentum before widespread negotiations become plausible. Any talks must be pursued from a position of strength, so that deals will involve convincing the Taliban to lay down arms rather than pretending that it could share power while clinging to its current ideology. 5. There is no exit strategy or exit schedule. Some Afghans (and Pakistanis) listened to President Obama's Dec. 1 West Point speech, in which he promised that U.S. forces in Afghanistan would start to withdraw by July 2011, and worried that America's commitment is weak. Many Americans, though, have the opposite concern -- that this war is open-ended. But if the new strategy being implemented by Gen. Stanley McChrystal is successful, we will see clear evidence of that by late 2010 or 2011. We should then be able to contemplate major reductions in the U.S. military presence starting in 2012. There are two main reasons for large NATO and U.S. troop deployments in Afghanistan today. The first is to clear and hold key strategic areas, as with the current operation in Marja. This effort will largely culminate in 2010 and 2011. The second is to train Afghan forces. Given schedules for recruiting, training and forming Afghan units, this process will be most demanding through 2012 or so. Put the pieces together and, while a rapid reduction in U.S. forces starting next summer is unlikely, the United States should be able to cut its presence by perhaps 20,000 troops per year thereafter. This is hardly a quick exit -- at least not as fast as Congress or Obama might want -- and such a time table implies that the United States will still have 60,000 or more troops in Afghanistan when Obama faces voters in 2012. But it is not unending, nor is it unrealistic. Michael O'Hanlon is a senior fellow at the Brookings Institution. Hassina Sherjan is the president of Aid Afghanistan for Education, a nonprofit group in Kabul. They are the co-authors of "Toughing It Out in Afghanistan."